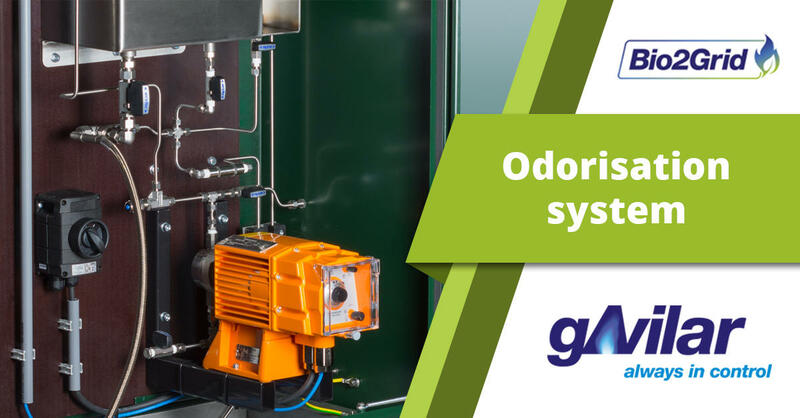 gAvilar has built a compact odorisation unit to inject odorous substances THT or TBM in a (green) gas injection installation. The unit is equipped with a Prominent diaphragm pump to get the most exact odorisation. The unit is built for odorisation of a gas flow from 40 Nm3/h, has a displaced volume of 0,04 ml per stroke and a consumption of 0,19 liters per hour. The unit is housed in a stainless steel housing equipped with a leak tray, will be delivered plug and play and can be directed by the PLC of the gas injection installation. The development process was in compliance with the directive for gas odorisation SVGW.